Often homeowners ask themselves the question, How Do I Know When My Windows Need Cleaned? Which is a perfectly good question to ask yourself. Cleaning windows is a task that not many of us like to do. And if we have to clean our windows, we like to do it as little as possible. 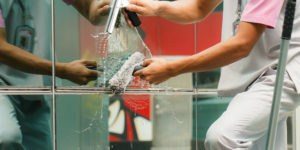 Many homeowners do not see the value of cleaning windows and why it is so important. Cleaning your windows ensures that you are keeping grime and dirt out of your house. And also keeping away rot and decay, which is attracted by built up dirt. So, you want to keep your windows regularly cleaned. We now know that we need to be cleaning our windows. But, in this blog we will list out the signs you can see that tell you when it is time to clean your windows. The first sign that your windows need cleaned is, there are many visible fingerprint marking. If you can see fingerprints all over your window. It is time to clean. Overtime, those fingerprints can leave oil in your glass. Which you do not want. Second sign, if you see dirt. If there is any visible dirt on the inside or outside of your window it is time to clean. You do not want dirt to build up on your glass and possibly get into your house. Dirt is for the outside ground, not on your windows. Generally, it is a good rule that you should clean your windows once a week. That way you will avoid excess dirt, oil buildup, or anything else that has attached to your window. 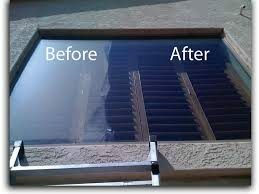 We understand that most people do not want to spend time cleaning windows. But, to keep your house clean and germ free it needs to be done. We also recommend that you have a professional window cleaning service, visit every month a a half. To ensure that your windows are getting the treatment they deserve. Don’t waste anymore time today. Get up and clean your windows. And then call us at 832-639-3434 to schedule your professional window cleaning service today! Our expert technicians will have your windows glistening in no time. And also give you tips and tricks on how you can keep them looking clean till your next service.